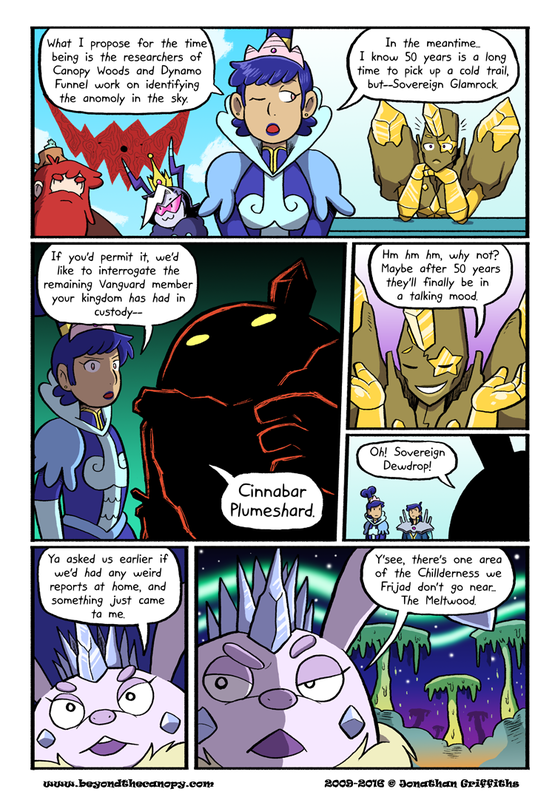 No, Cinnabar is not a fan of riddles, nor Arcanines. Well, that an awfully weird thing to forget. Wait a second now, if Cinnabar is the only member not in hiding…does that mean Redwood has been keeping Gramps hidden? We call it… the MELTWOOD. 1st panel spelling error: Anomoly. Should be anomaly.